Mike Mayock hadn’t rested since New Year’s Eve, the day he formally transitioned from make-believe television general manager to Oakland Raiders GM. The longtime NFL Network draft analyst spent so much time inside the Raiders’ compound breaking down film and learning the job that coach Jon Gruden — the notorious workaholic — thought Mayock needed a break. Except their biggest job yet awaited them as soon as they touched down. 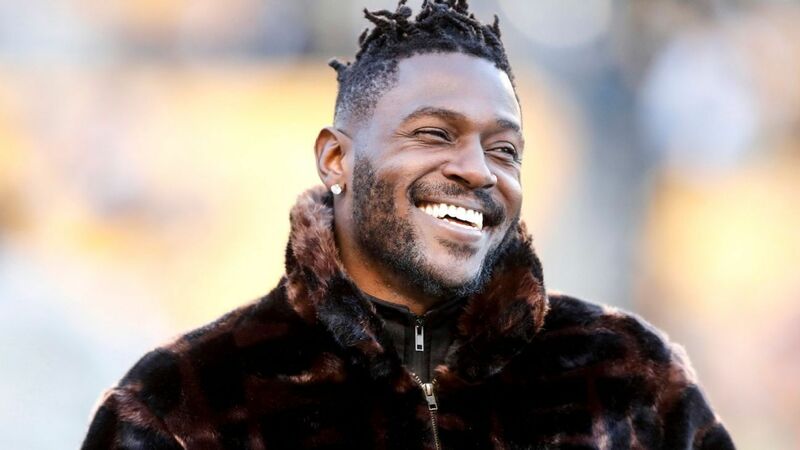 Antonio Brown, the game’s best wide receiver, had undergone a tumultuous two months with the Pittsburgh Steelers and wanted out. He was available for trade and ready to negotiate exclusively with Oakland. 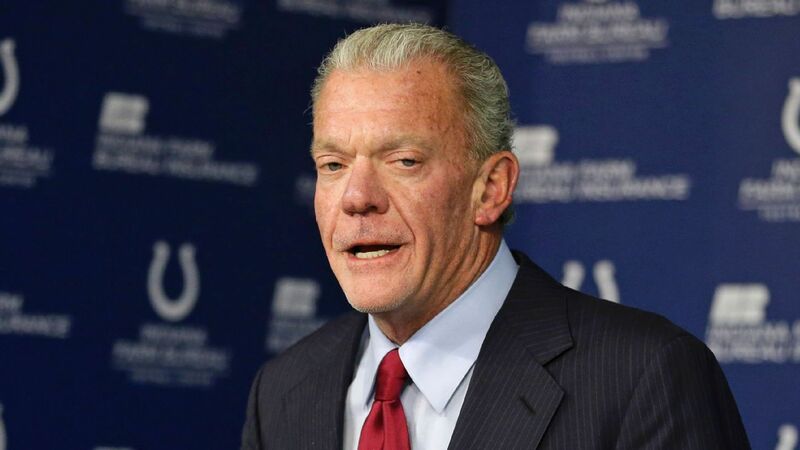 And so over the course of the next two days, Mayock spent his Vegas getaway on the phone negotiating with Brown’s agent, Drew Rosenhaus, who was at Brown’s home in Miami. “Instead of having a nice double date, we dated [agent Drew] Rosenhaus and Antonio Brown,” Gruden said. The Brown saga sent shock waves through the NFL because of the star power involved. Rarely is a player of Brown’s caliber available for trade, especially with three years left on his contract. Brown’s trade market didn’t promise a bevy of high picks. Even the Raiders, who coveted the instant offense Brown provided, were reluctant to part with significant capital. Rosenhaus first called Steelers general manager Kevin Colbert about Brown’s desire to be traded on Dec. 31, the day after the 2018 regular season concluded, Rosenhaus told ESPN. Brown wasn’t in the building that day, and players were trying to make sense of an exhausting Week 17 in which Brown was not present for a day of work. Brown’s relationship with quarterback Ben Roethlisberger and coach Mike Tomlin had deteriorated. In the final week, Brown believed he was made a scapegoat for the team’s problems and stayed true to his story that Tomlin sent him home because of his injury. Technically, this wasn’t a formal trade request. Privately, it was time to entertain life without Brown. By mid-January, Pittsburgh believed Brown, who will turn 31 in July, would have at least a decent trade market, possibly garnering a first-round pick. Multiple league sources at the time forecast a “small but strong” market, which played out over the next two months. Colbert met with Rosenhaus twice in January — at the East-West Shrine Game on Jan. 19 in Florida and the Senior Bowl on Jan. 26 in Alabama — to discuss Brown’s future. By that point, the Steelers were prepared for anything but hadn’t begun shopping Brown in earnest. First, the Steelers — most notably, team president Art Rooney II — wanted to hear from Brown directly. Corralling everyone involved for a meeting took time, with several scheduling “misfires,” Rosenhaus said. They settled on Feb. 19 at the West Palm Beach Airport. They arrived in separate cars, shook hands across from the terminal and headed to a meeting room. Brown’s bizarre behavior on social media had been off-putting for the franchise. He grew the mustache, posted a highlight video saying goodbye to Pittsburgh before the team even agreed to trade him and criticized Tomlin and Roethlisberger publicly. Brown highlighted to Rooney his “spectacular” nine years in Pittsburgh and requested they take a picture together. All parties understood Brown would be a Steeler in 2019 if a trade partner couldn’t be found, Rosenhaus said. But they didn’t discuss contingencies because of confidence a deal would materialize. That new contract was a hurdle for many teams. Brown had deemed himself “Mr. Big Chest,” and that meant he wanted new guarantees on his remaining three years (at approximately $39 million) with Pittsburgh. The belief was at least one team was willing to trade a first-round pick if the contract hadn’t been a factor, a source said. Rosenhaus spoke with general manager Brandon Beane on March 5, and Beane made clear then he would tweak Brown’s remaining deal but wouldn’t redo it. That was a nonstarter for Brown, so both parties agreed it wouldn’t work and never revisited. In the early hours of March 8, NFL Network reported the Bills were “closing in” on a deal for Brown, who quickly called any deal with Buffalo “fake news” on social media. Rosenhaus woke up in the middle of the night to the story and worked to clarify, knowing a deal was not in place. That was too bad for the Steelers, who felt strongly about Buffalo’s package, according to a source. Many around the league believed part of the package included swapping Pittsburgh’s No. 20 overall pick for Buffalo’s No. 9 pick. By March 8, the Steelers didn’t have an overwhelming favorite and were simply looking for the best package. Brown believes he has a few prime years left and is eager to prove he’s not a Steelers creation. But Rosenhaus and Oakland were still trying to bridge the money divide by the evening of March 8. Rosenhaus left Brown’s home in Miami that night thinking a deal might be off completely and new teams would need to emerge. Rosenhaus declined specifics on the exact sticking point with Oakland, but he acknowledged both sides weren’t “on the same page” on the two key elements of the deal: new money and overall guarantees. On March 9, Rosenhaus spoke with Colbert, who encouraged trying again with Oakland, according to a source. So Rosenhaus reconnected with Mayock in the evening for more fruitful talks. Rosenhaus worked from Brown’s large dining room table while the player waited for the green light to tweet out a photoshopped picture in a Raiders uniform. Shortly after midnight on March 10, Brown posted the image to #raidernation after both sides agreed to a deal: the Steelers acquired Oakland’s 66th and 141st picks in the 2019 NFL draft in exchange for Brown. Of course, the Raiders had to ask about Brown’s ugly departure from Pittsburgh. They came away satisfied. “I did do a pretty deep dive with some of the Pittsburgh people I know,” Mayock said. “But the point is, for the majority of his career, could you criticize him for wanting the football more? Sure. But tell me a great wide receiver that doesn’t want the ball, right? So, he’s got some of that in him. But at the end of the day, he was a positive force in that building for a lot of years. Whatever happened last year, happened. The connection between Gruden and Brown was instant. Mayock arrived to work and was delighted to see the two watching 400 clips of Brown’s play in Gruden’s office like “little kids in the laboratory” while Brown was in town to sign his deal. Tomlin played a pivotal role in selecting Brown in the sixth round of the 2010 draft, spent nine years watching his career explode and managed the player’s eccentricities almost daily. But in the end, Tomlin summarized the breakup as simply “disappointing” and “unfortunate” before leaning on a cold NFL reality. “Change is a part of our business and we’re comfortable with the talent we have and our plan to add to that talent and develop that talent,” Tomlin said. The Steelers have more chances to do just that. They didn’t get the first-round pick they coveted early in the process, but getting Oakland’s 66th pick was important because it was basically a late-second-round pick. Plus, the team — fresh off a year-long headache over Le’Veon Bell‘s holdout — wanted to move on from another disgruntled player. Colbert isn’t concerned with how Brown’s behavior might have affected the trade market. The Steelers just want their third-year receiver to continue on his current trajectory, regardless of who is or isn’t alongside him. 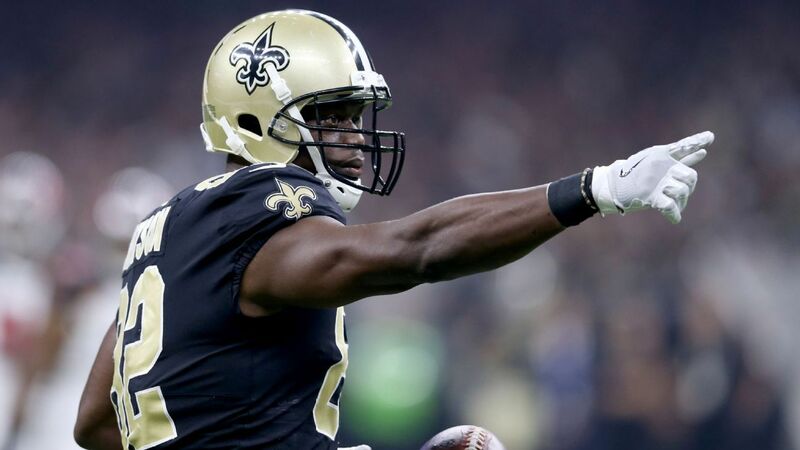 Despite averaging 1,500-plus receiving yards a season since 2013, Brown was willing to throw away his connection with Roethlisberger in exchange for a Las Vegas star turn for the Raiders’ 2020 relocation.